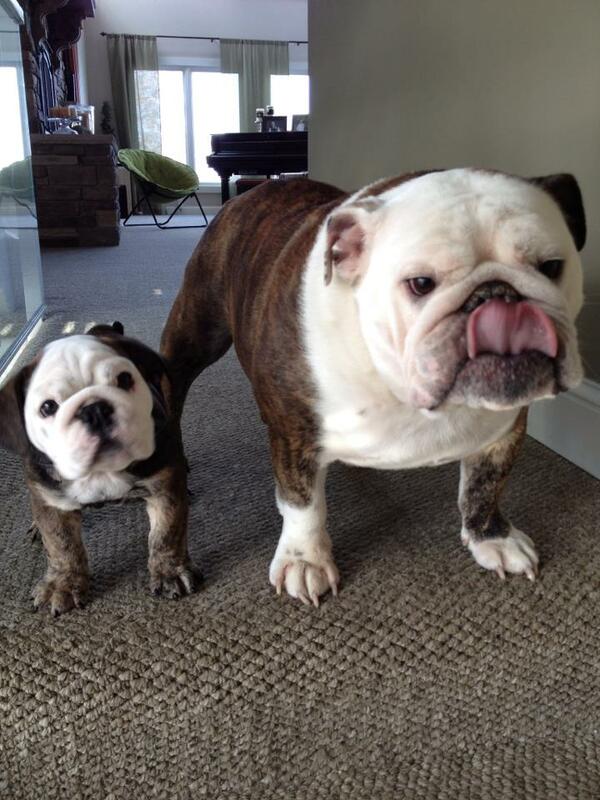 Bull dogs always have that grumpy look about them. 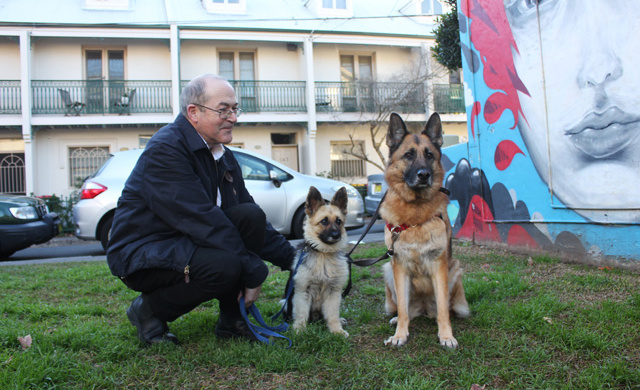 This photo was taken after getting a new puppy, don’t you think the older dog looks a little upset at having a new friend? I think they will be good friends in the end though! October is upon us! Costumes and candy! 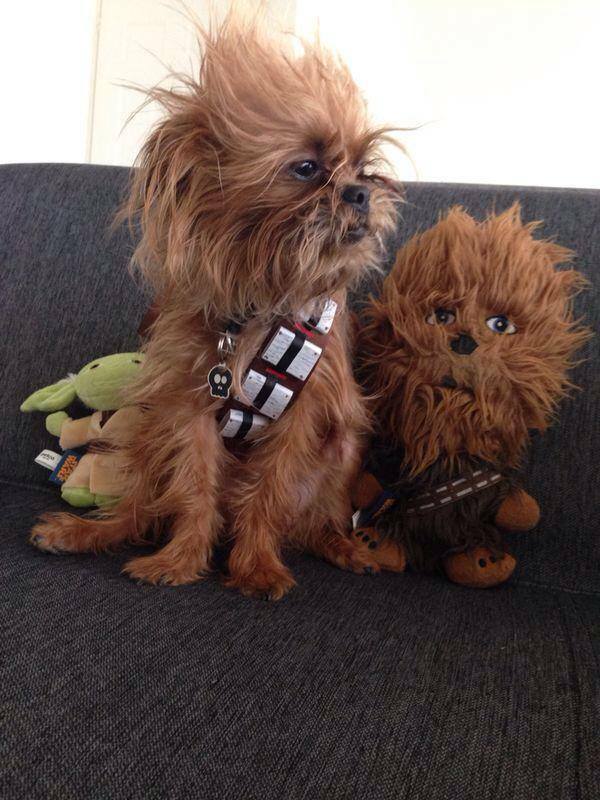 Well, I don’t have any candy to offer but here is a dog dressed up like Chewbacca from Star Wars. This little guy took home third place at in a Star Wars costume contest at Petco. He looks just like Chewie to start with! The stuffed animals are a nice touch. Are you wondering what costume could have possible topped this? 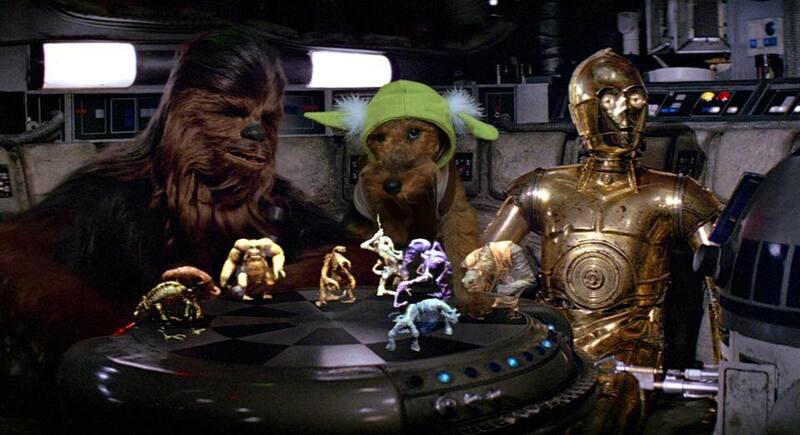 I have to hand it to this dog’s human for the Photoshopping skills, but Yoda was totally not in this scene. I wonder if they had to have Chewbacca and Yoda in the picture together or something? This one could have been way better if it was a scene Yoda was supposed to appear in. Hope that this starts you guys thinking of costumes your dogs can wear for Halloween! If your dog likes that kind of thing. Fall is officially here! That means apples, pumpkins, changing leaves, and cooler temperatures (at least where we live). You can find the coats at pet stores or have them specially made from shops like Shadedmoon on Etsy. So cute! And dogs like this need protection from bitter cold. 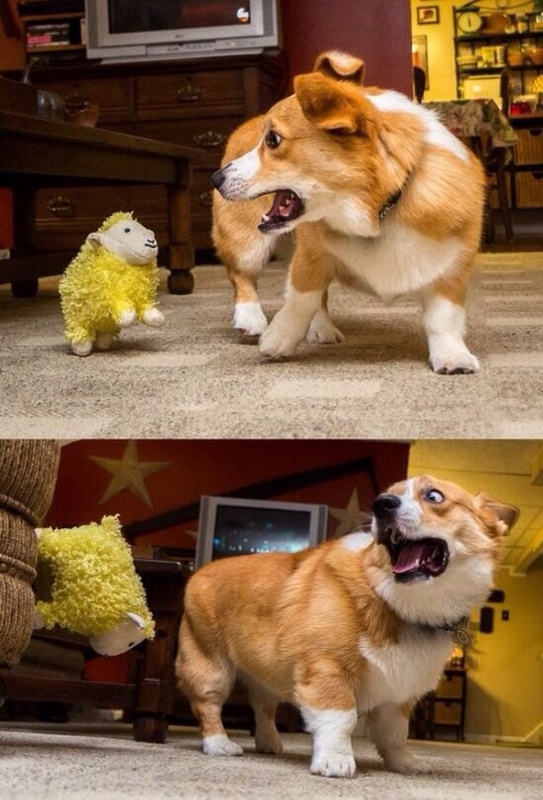 Everyone knows that Corgis are both adorable and hilarious. 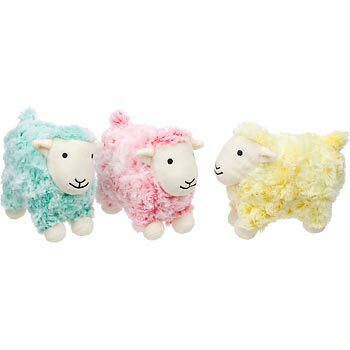 What you don’t know is that they are not amused by toy sheep! Sheep! 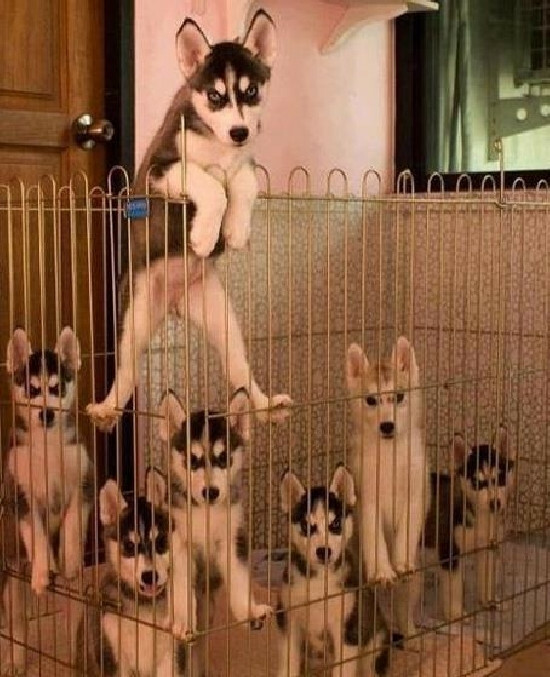 Or not… Just look at those facial expressions! Does your dog have a toy that just seems to stump or surprise them? Guineas handle these situations very differently, run and hide first and ask questions later. Want to try one of these sheep out on your dog? You can find them online at Petco for $7.99. While Tiger may be cute he has serious health issues due to his dwarfism. 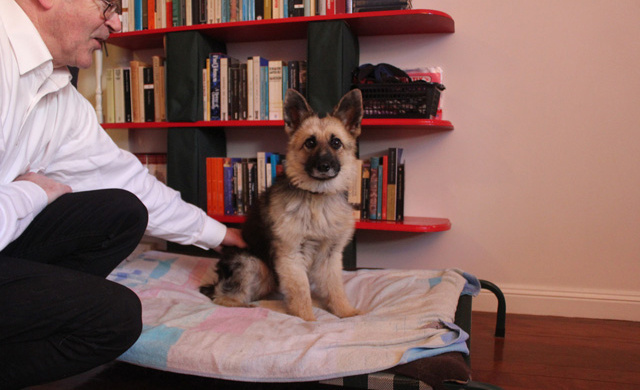 Pituitary dwarfism is a genetic disorder which reduces the production of growth hormones which limit the dog’s growth and can occur in any breed if the parents are carriers or if the pituitary gland fails to develop normally. 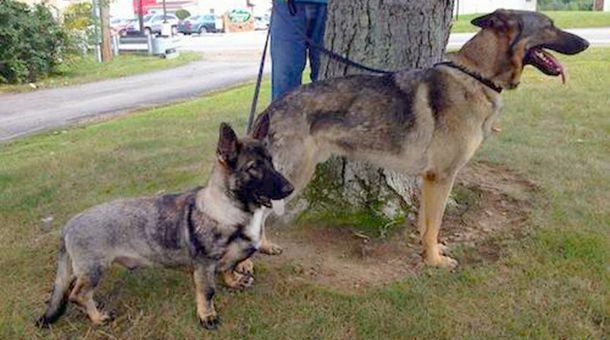 Pituitary dwarfism is a recessive genetic trait, so both parents have to be carriers to pass on the disorder to their pups. It is not that uncommon, but is still not well known. This condition also causes difficulty in growing adult fur, teeth, and skin. It can shorten the dog’s lifespan (GS dwarfs have a 5 year life expectancy), cause infertility, and give the dog a bad disposition with aggression or anxiety. The majority of these puppies are not considered suitable for sale due to the fact they will have health problems and be unpredictable, so they are sometimes put down shortly after they are discovered to be dwarfs. So while Tiger is cute, this is not something to breed for. The breeders who produced Tiger only breed one litter a year and were not aware until his litter that his mother, who they own, was a carrier. The father of the pups was a champion show dog used by many other breeders and it was never disclosed that he too was a carrier of the gene. Of the six pups in Tiger’s litter three were dwarfs. While a vet said the pups should be put down the family felt it was unfair to the animals and wished to simply give them the best quality of life possible. 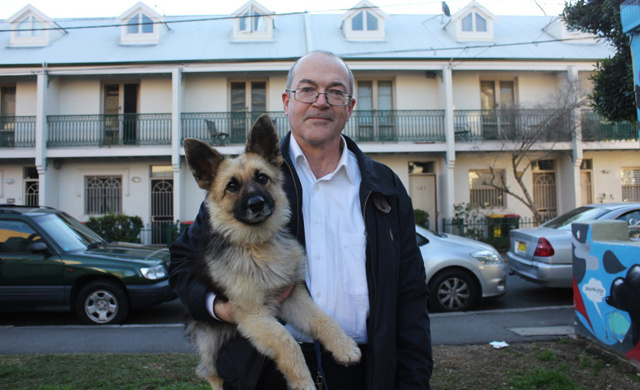 The man in the above pictures, John Coleman, took Tiger knowing what health problems he could have and was willing to give Tiger the best care possible. The other two remain with the breeder. Tiger gets a lot of attention from people who both understand his condition and those who think he is just a puppy. While many want to pet Tiger his owners keep strangers away because he has developed a bit of an aggressive personality and will bite. 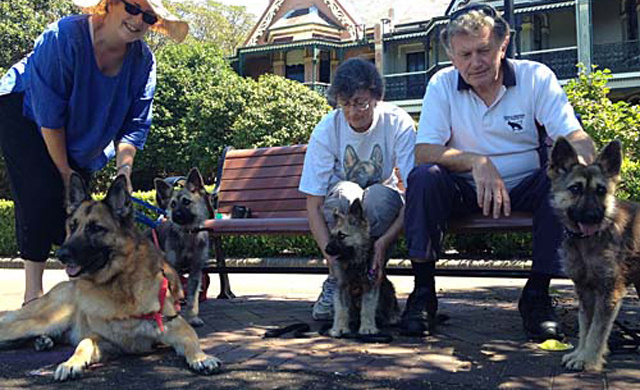 At home he is loving and affectionate towards his people and the family’s full sized German Shepherd Lydia. It is a good ethical question as to whether a dog which is a known carrier should be bred further. Any and all breeding should be responsible and with purpose, considering health and whether the pups have future homes or jobs (police, guide dog, herding, etc.). 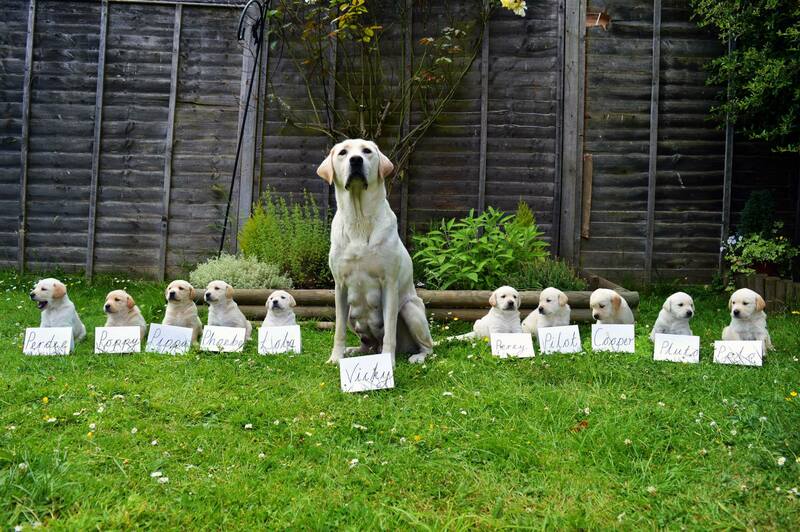 Today’s Woof is a family of adorable lab pups hopefully destined to be guide dogs. How in the world did they get this picture? Between having all the puppies stay in one place, to having all the signs also stay standing, this is pure puppy craziness! Maybe some Photoshop magic? Best luck to these pups! Wednesday! Sorry for the lack of post last week, the human lost track again. She said something about summer being a busy time, but guinea pigs are always busy. There is food to eat, treats to beg for, running, hiding, eating again, and more. How can she be busier than we are? 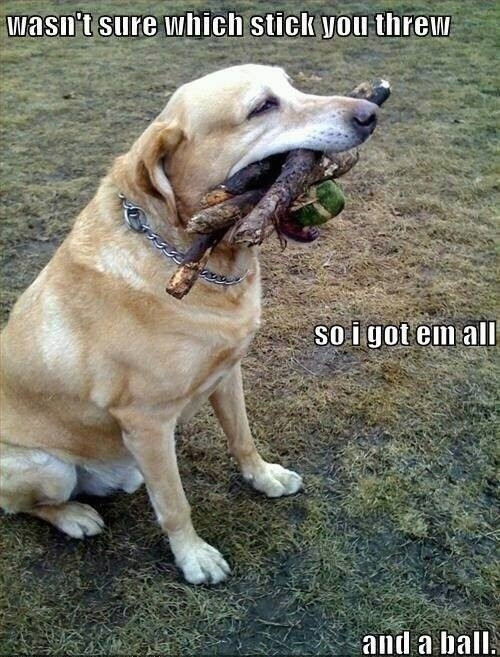 Ever have this happen when you take your dog to the park, or play fetch? Silly dogs, guinea pigs don’t even bother playing fetch! A stormy Wednesday here at FT! Lots of rain, thunder and lightning – which is a lot for us guineas. 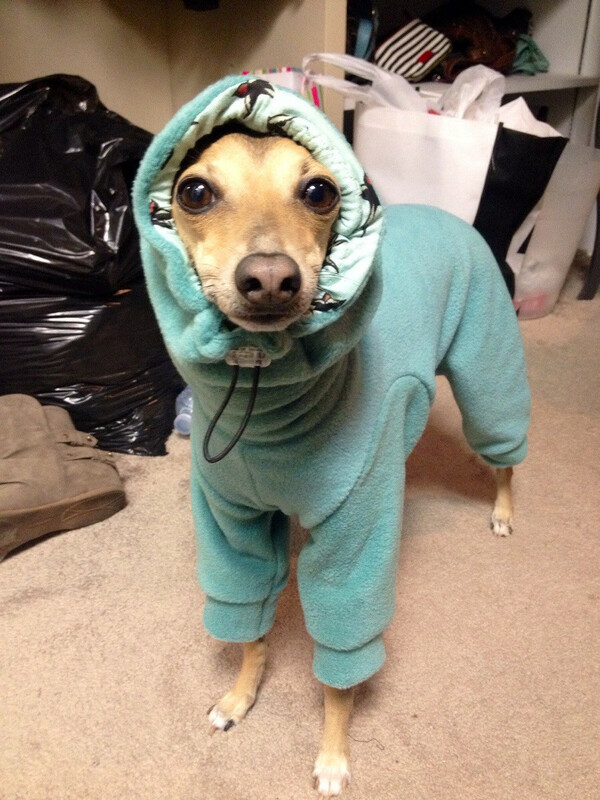 But, there is a lull in the storm and we need to post dog pictures to celebrate. 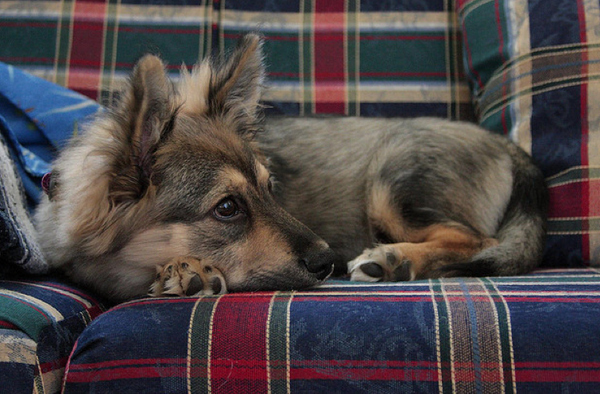 Have you ever seen a Corgi-Shepherd mix before? Corgis are so interesting with their short legs and long backs. The shepherd elements add even more character. Do you like such mixes? I think they add a little interest and you never really know what you are going to get! 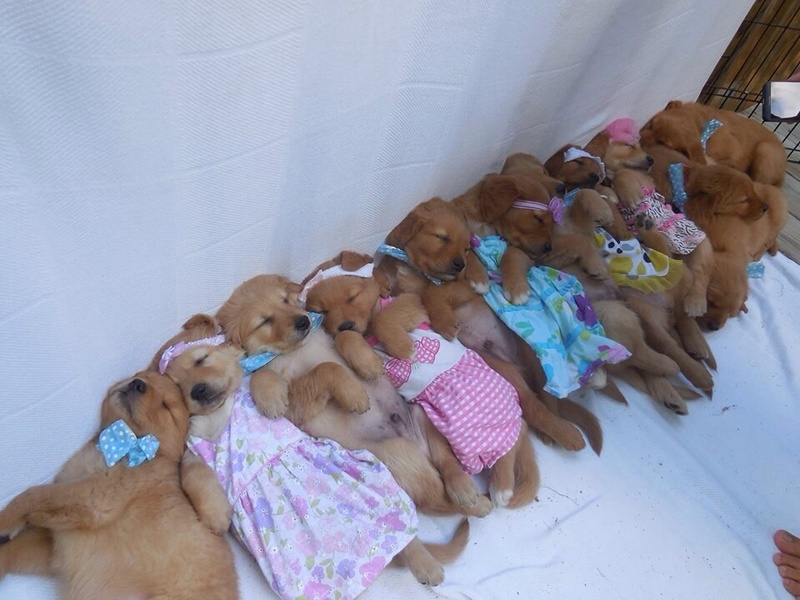 golden retriever puppies are simply perfect, but I am glad that there are organizations helping any in need.